About those peaches. 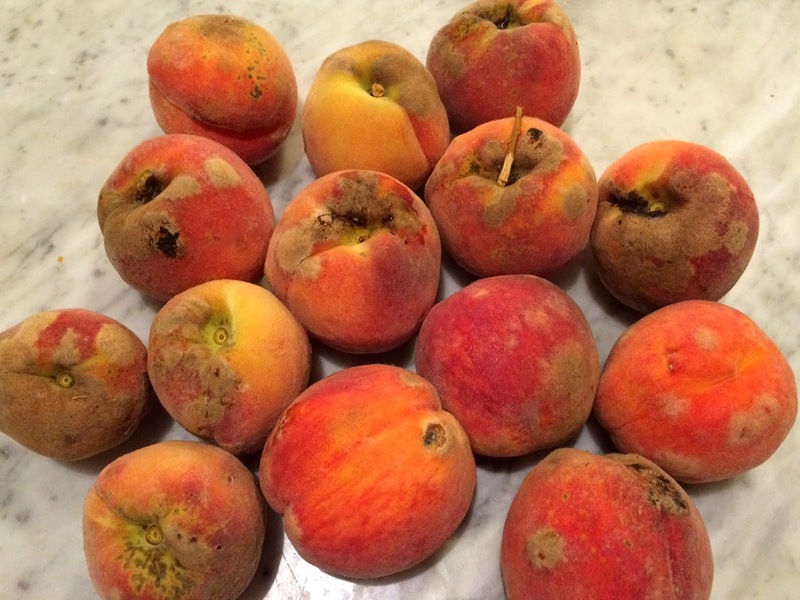 They are certainly not "pretty as a peach" but what they lack in appearance is made up in juicy deliciousness. 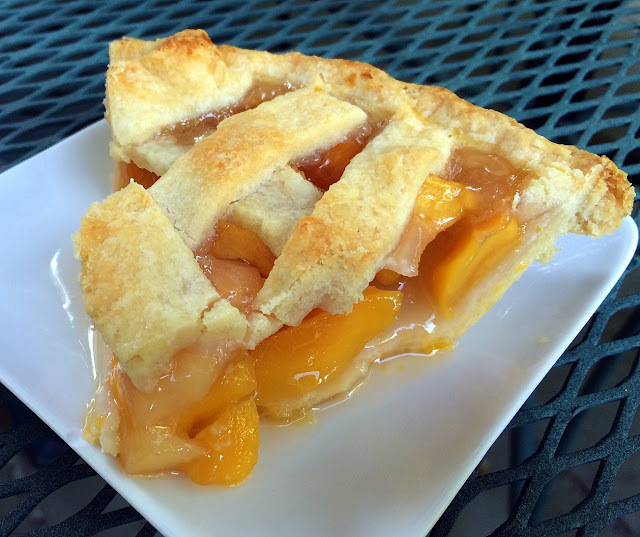 For a fresh peach pie, boil the peaches for about 60 seconds and, if you're lucky, the skins will slip right off. 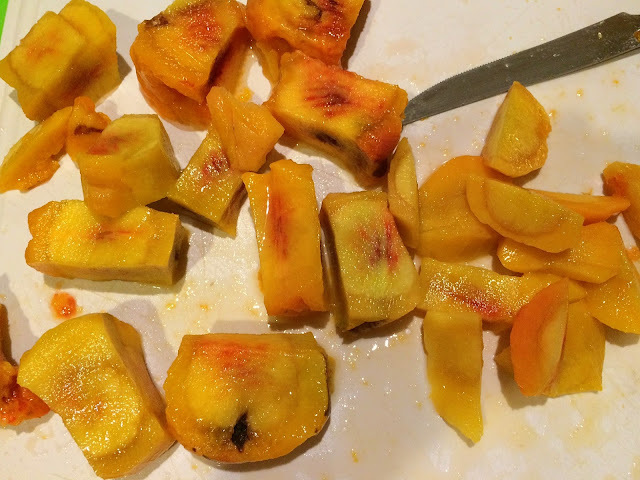 If not take a paring knife to peel them before slicing. Next, combine the sugar, cornstarch and salt. Add water and stir until combined. 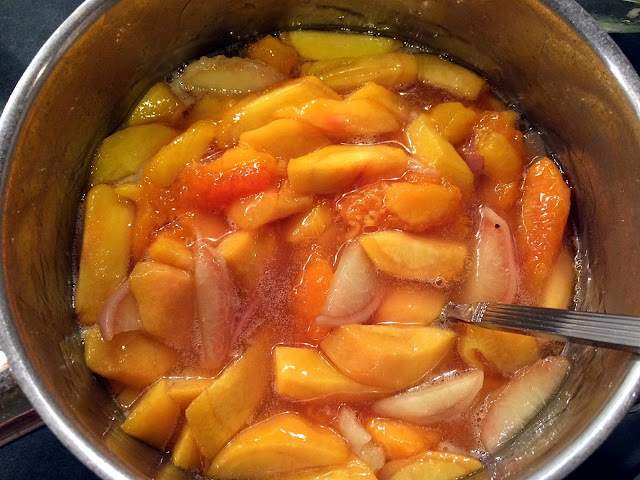 Slip the peach slices in and cook until the mixture boils. Then cook another minute. Pour the mixture into an unbaked pie shell. You can see below I had too much liquid, so I simply spooned some out. Cover with a top crust. 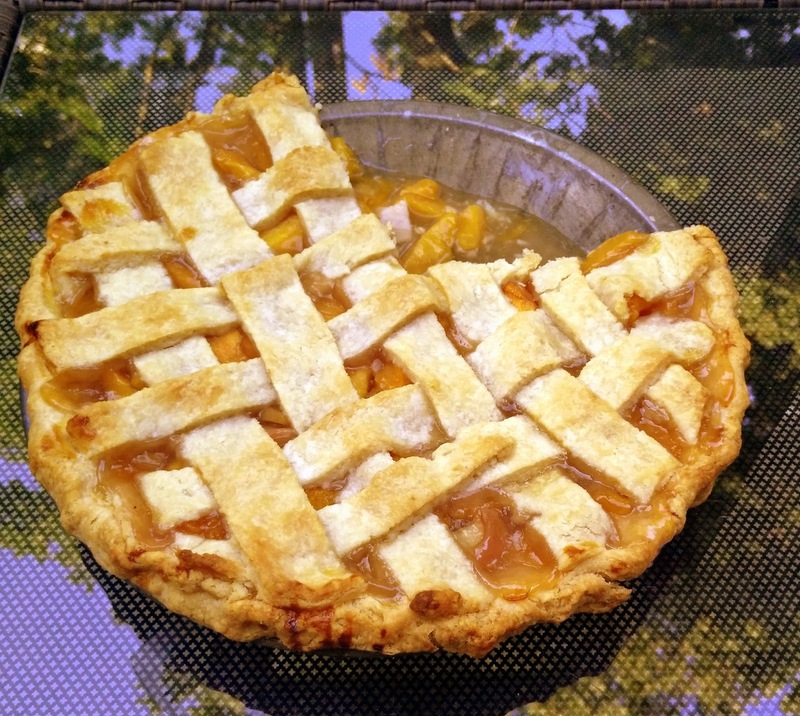 I got a little fancy with a lattice. Bake until done. Cool on a rack. 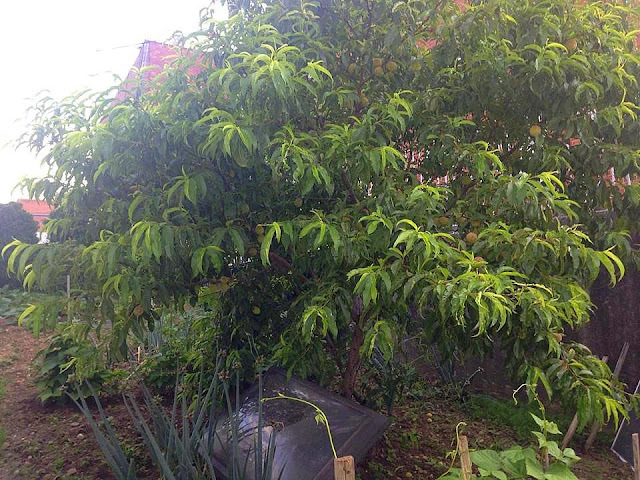 Enjoy in the garden, even if it lacks a peach tree. 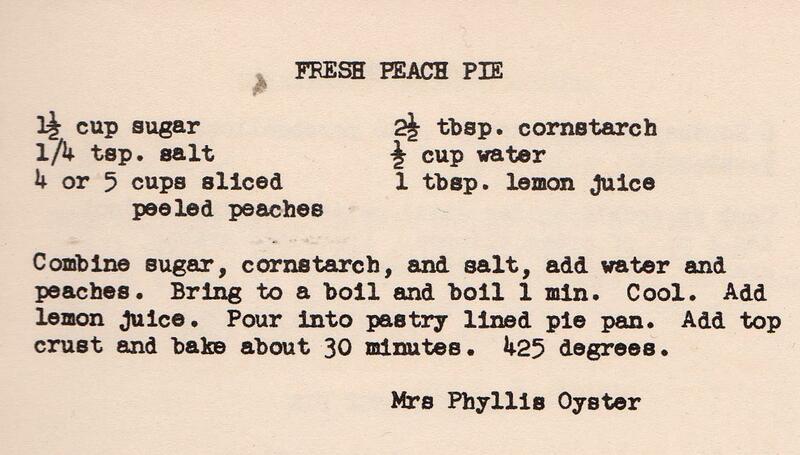 This recipe is from a c. 1960 cookbook published by The Women of Circle "B" of the First Brethren Church in Ohio. Production notes: I followed this recipe exactly, but had to spoon out some liquid. Next time, I would leave some in the saucepan. 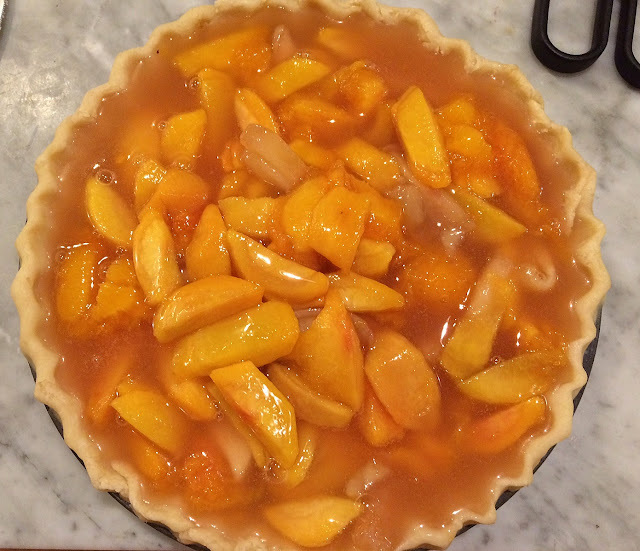 I used a nine-inch pie pan and five cups of peaches. 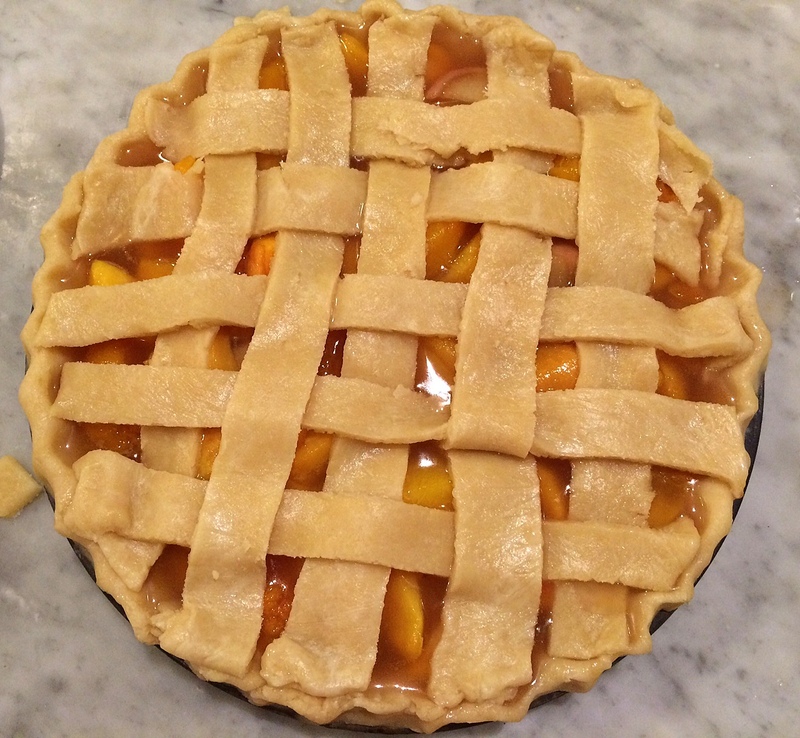 Always bake pies on a foil-lined baking sheet for ease of removal from the oven, and also to prevent the bubbling juices from spilling onto the oven floor. 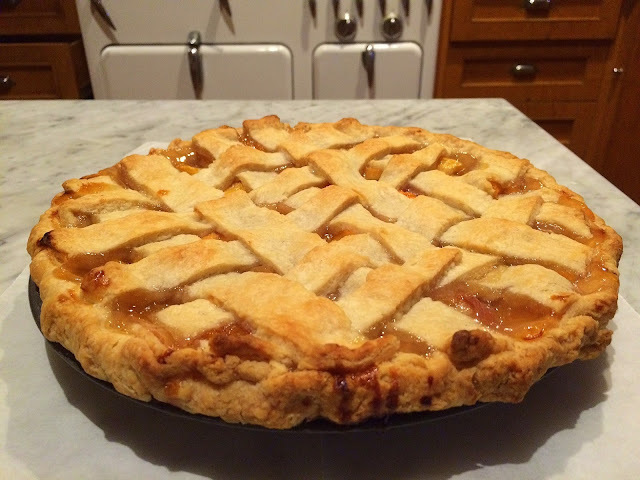 What a beautiful pie! I am glad the peaches were not picture perfect, home grown ( read that imperfect ) foods should be enjoyed just like so many years ago. Thank you. That is one handsome pie.